Trinity's footballers could count themselves somewhat unfortunate to lose out 2-1 to Maynooth on Thursday, in their first game of the season. 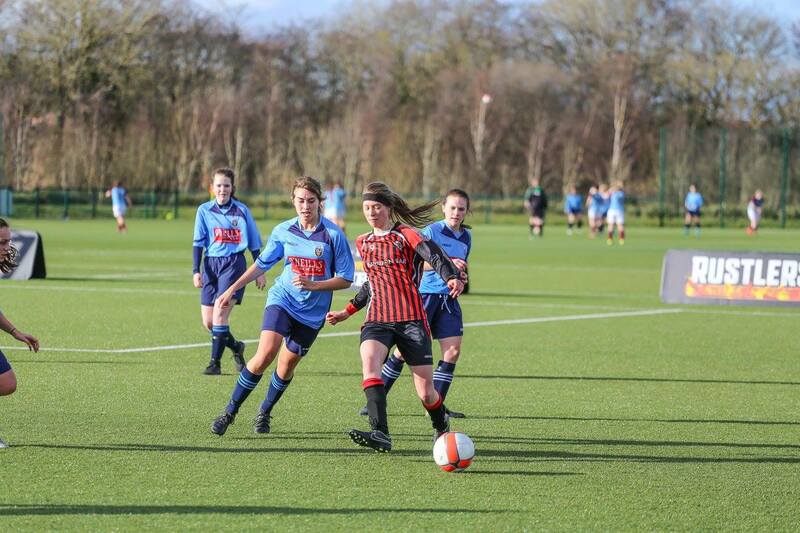 Trinity Women’s Soccer lost out to Maynooth University on Thursday in the first game of their Colleges and Universities Football League (CUFL) campaign, after a close game in which both sides created plenty in the way of opportunities. Maynooth struck first, going ahead after some miscommunication at the back for the visitors. Trinity’s defence of Nicole Moosbrugger, Clíodhna Ní Shé and Frannie Smith looked solid for the most part, however, and at the other end, Trinity nearly equalised later on after the Maynooth keeper was caught off her line when the ball was whipped into the box. Maynooth came close to adding to their lead a couple of times for the remainder of the half, but Trinity managed to keep the deficit at one goal going into the half-time team talks. Trinity had a golden opportunity to equalise early in the second half after the ball was handled in the Maynooth box. Unfortunately for the visitors, they could not convert the resulting penalty kick. Possession was concentrated in the middle of the pitch with Trinity starting to dominate, and it was not too long before they finally drew level, with Moosbrugger finding the net from a corner kick. However, Trinity were unable to maintain this period of dominance, and there was frustration towards the end as Maynooth managed to grab a late winner. Both sides were evenly matched for much of the game, with equal shots on target for both teams. Maynooth have played at Premier level, so Trinity did well to remain in the game for so long. Next up, Trinity take on IT Tallaght in College Park on Tuesday. This season has already seen plenty of change for Trinity’s Women Soccer, with the club abandoning their old name, Dublin University Ladies’ Association Football Club (DULAFC), in September. The name change came after reservations about the use of the word “ladies” in the title of the club were raised at last year’s AGM. An EGM was called after a training session last month, and with 50 players in attendance, the motion was passed unanimously.